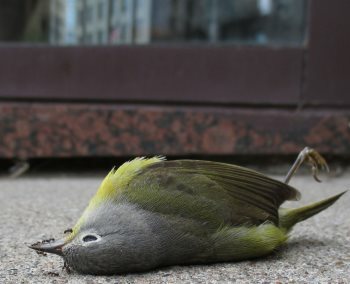 It is estimated that millions of birds are killed by glass window collisions. Birds often cannot recognize reflective windows as barriers and subsequently fly into them. They also may see their reflection as another bird in their territory and will peck at your windows incessantly, trying to drive its competitor away and simultaneously drive you crazy from non-stop pecking. 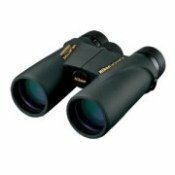 *Consider placing your feeder either within 3 feet of a window - birds won't gain enough momentum to harm themselves when they strike, or greater than 30 feet - birds will be less likely to see the windows as pathways. 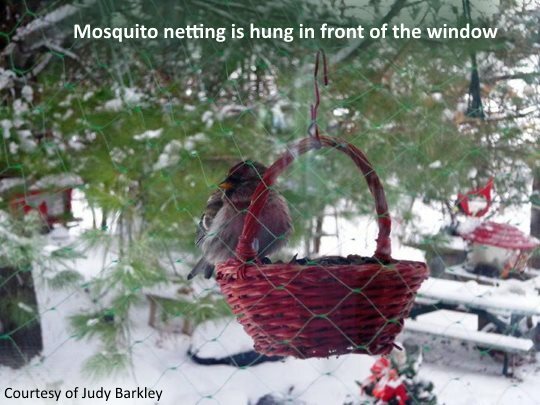 Judy hangs mosquito netting to prevent birds from flying into her window. She hooks the netting at the top of her gutter with gutter hooks and at the bottom it's attached to the window box. She also uses the same netting on a big ceiling-to-floor window in the front of her house where she also hooks the top to the gutters and at the bottom she attaches the net to stakes that have protruding screws. They fly into it at times, mostly if a hawk swoops, or a loud noise spooks them, not often tho, but the mesh is about a foot from the window and taut, so they just bounce back. 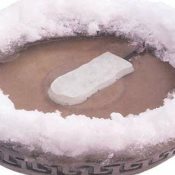 This works great, and if you're inside you can't notice it unless you're looking for it. Thanks Judy for your photo and tip! Cornell's All About Birds also has more tips to prevent bird window collisions. 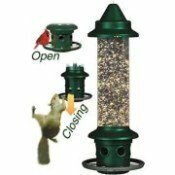 Window Bird Feeders - View all styles of window bird feeders.